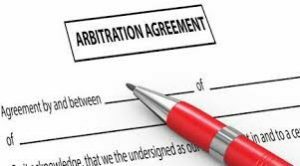 A leading commentator has observed that ‘[t]he choice of the law applicable to an international commercial arbitration agreement is a complex subject’ (Born, International Commercial Arbitration (2nd edn, 2014) p 472). This complexity is reflected by the case law illustrating that the courts of different countries adopt different approaches to certain common scenarios. One area of divergence is the case where parties to a contract containing an arbitration clause choose state A as the seat of arbitration, but the law of state B as the law governing the matrix contract: which law governs the arbitration clause – the law of the seat or the law of the country chosen to govern the substantive contract?